A member of the IWW since his childhood, Franklin was the son of Henry Rosemont, a prominent figure in the Chicago Typographical Union, and of Sally Rosemont, a jazz musician and union member. Inspired by Jack Kerouac's On the Road, Franklin hitchhiked 20,000 miles around the USA and Mexico and wound up in San Francisco in 1960, the heyday of the beat generation poetry renaissance. 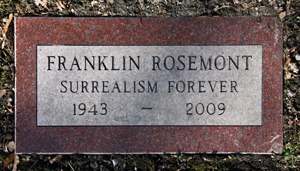 Franklin and his wife Penelope went on to create the Chicago Surrealist Group after traveling to Paris in 1965 to meet André Breton and attended meetings of the Paris Surrealist Group. The group played a major role in organizing the 1976 World Surrealist Exhibition in Chicago. Franklin was elected to the Board of Trustees of the Illinois Labor History Society (ILHS) in 1981, where he served until his death. Franklin and Penelope were inducted into the Union Hall of Honor of the ILHS in 2005. The citation describes them as "faithful stewards of the Charles H. Kerr Company, publishers of labor and radical classics since 1886." 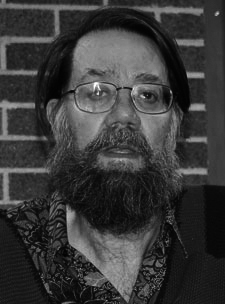 Franklin was author of books Joe Hill: The IWW & the Making of a Revolutionary Working Class Counterculture, Haymarket Scrapbook, written with David Roediger in 1986 to mark the centennial of the Haymarket Tragedy. The Big Red Song Book was his most recent collaboration with David Roediger, Salvatore Salerno and the great folklorist Archie Green.